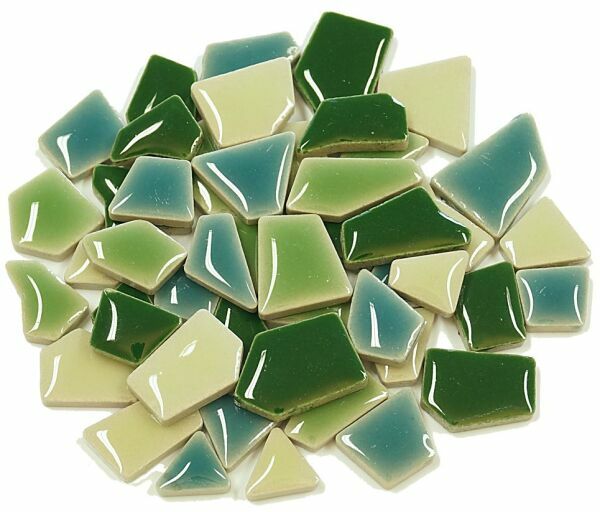 With breathtaking colours and over 300 different stone shapes, the new Mini Flip mosaic stones are a real highlight for your mosaic. Thanks to a sophisticated manufacturing process of the stones, there is hardly any limit to the variety. 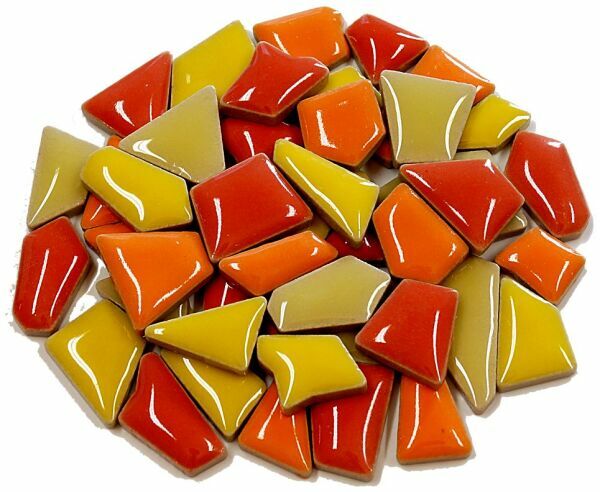 The stones convince with an edge length of 0.5-2.0cm and fit ideally to mosaic stones with the same height of 4mm, as mosaic stones from Murano glass, soft glass, Ceraton ceramic stone or marble. 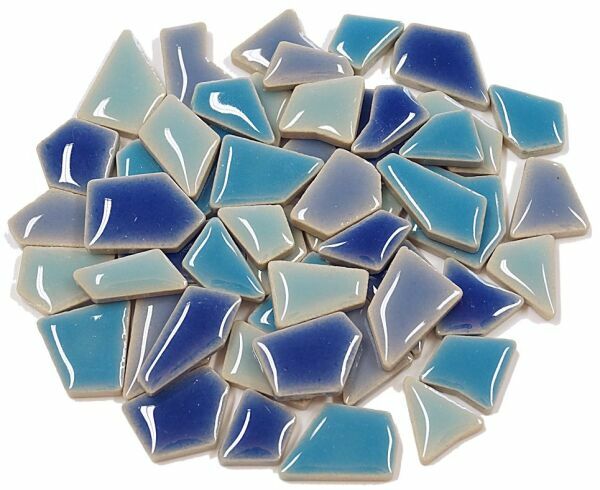 The flip ceramic stones are glazed porcelain, which is absolutely frost-resistant. Thanks to the brightly coloured glaze of the mosaic stones, brilliant light reflections are created on the edges, which give your mosaic project a particularly bright and colourful look. 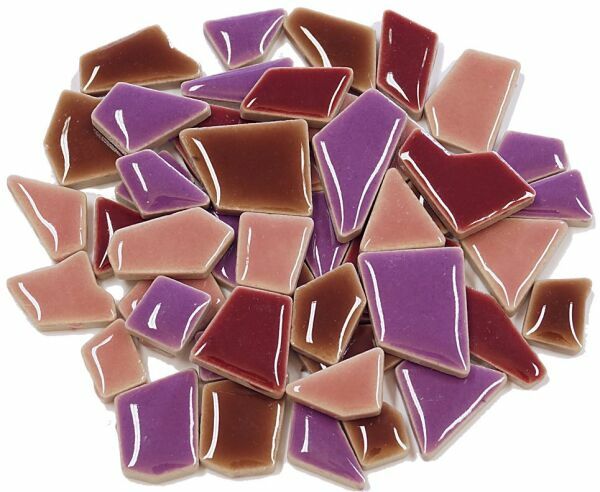 You have a choice of 20 mosaic colours as well as 6 mixtures of coloured stones. 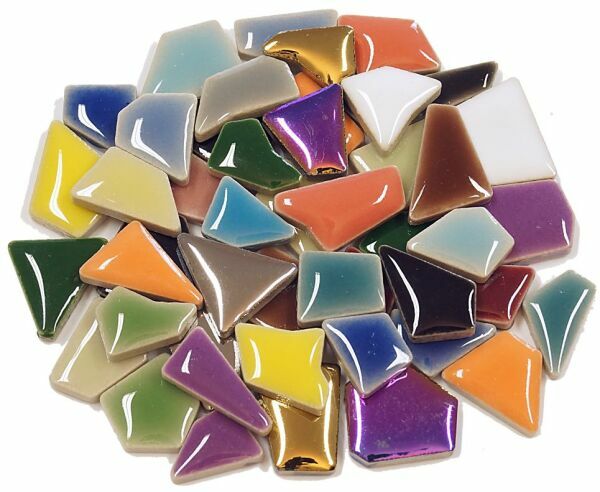 Also with this stone series you have additionally flip deluxe colours in silver, gold and rainbow. Flip MINI´s are made of porcelain and are absolutely frost resistant!